Finally! After non-stop-ly studying for a week, there won't be any test till the rest of this week! Although I'll have another round of tests next week, at least I can breathe and rest now. Senior high school is definitely busier than junior high school. 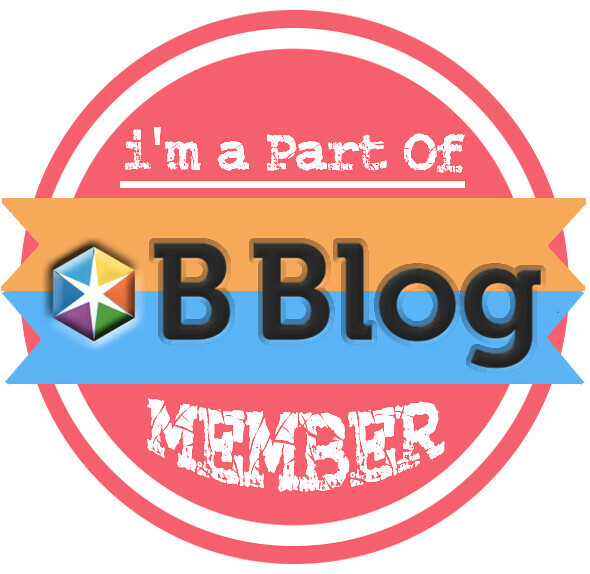 It's beeennn a really long time since the last time I rambled about things on my blog. I just feel so busy till I don't have much time to write, and when I have some spare time, I don't know what should I write here. I have lotssss of thoughts in my mind, but I don't know how to let them out. I wore this outfit to my friend's birthday last Saturday. 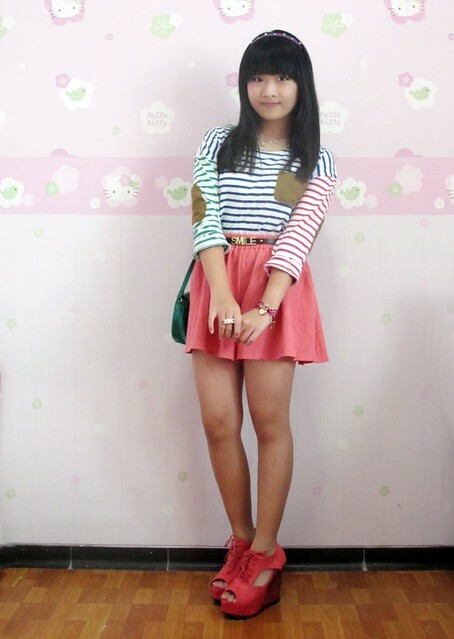 I wore a striped sweater from kibibe, divided skirt (skort) from Pile of Thread, belt from asos, bag from mango, and wedges from sheinside. 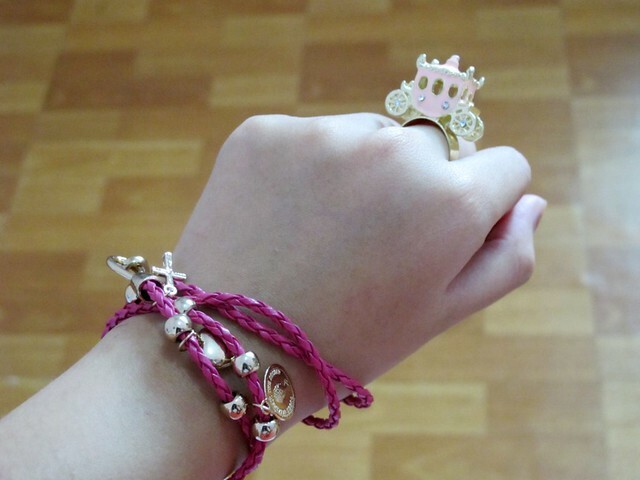 Bracelet from Infinity Shop & ring from Urban Glam Aksesoris. love your belt! i could dieeeee !!!! That purse is cute! :) and you too. Nothing but love for this outfit, Veren. Both the skort and the lace-up wedge sandals are lovely together. Truly charming and cute looks overall with this outfit. 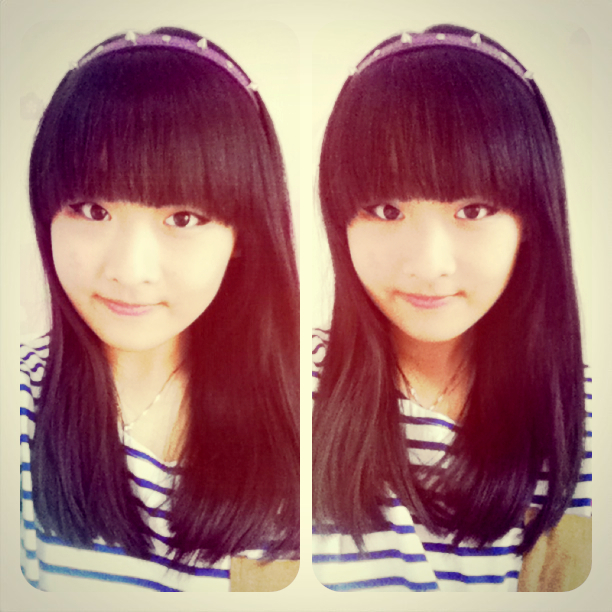 your outfit is so lovely :) I like your sweater :) goodluck with your school stuff veren! you look so cute! and love your makeup too! 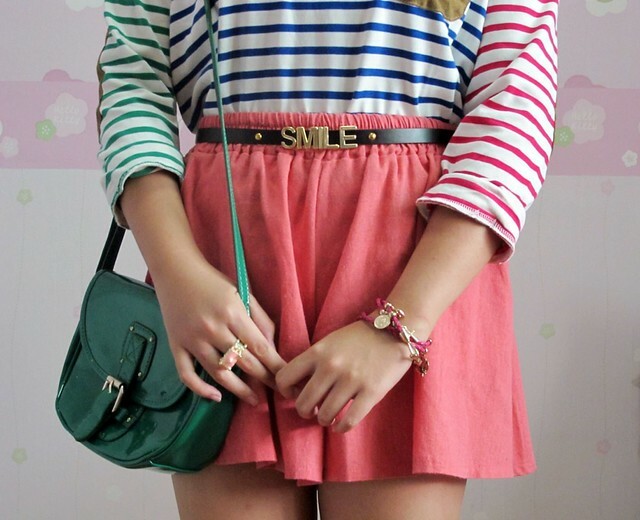 I didn't notice the detail of the striped shirt, it's so fun and colorful! 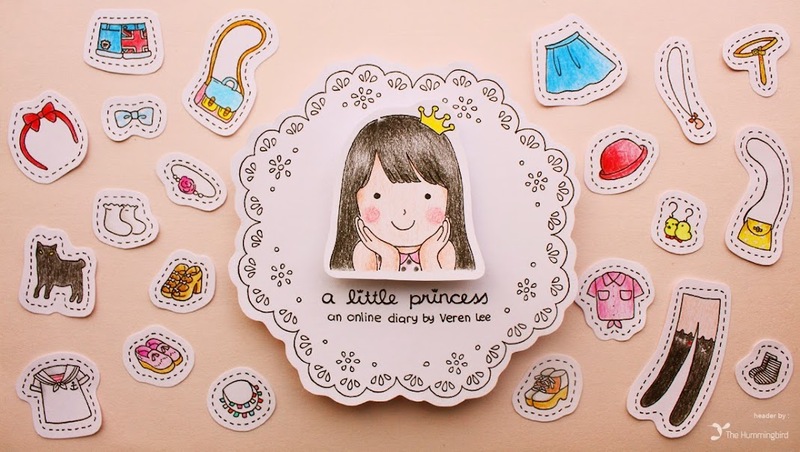 super cute!>,< please come visit my blog:D 'll be so glad! Mosted love your striped sweater Vereen!!! you are always gorgeous with all what you wore! love the outfit. the shoes are amazing. aaaaahh... your belt!! 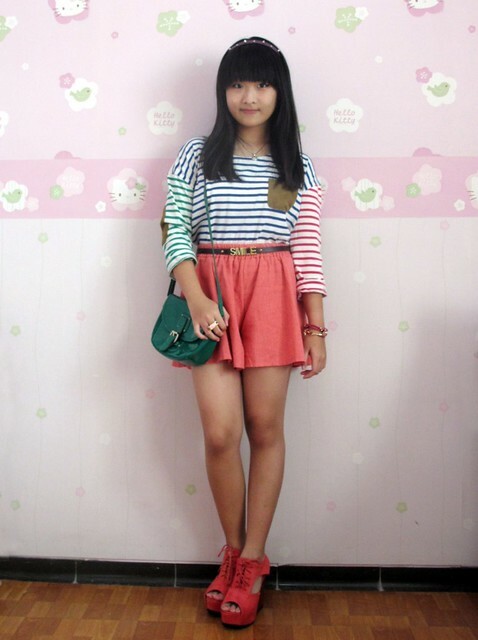 so cuteee veren..
Great shoes ^^ Looooove it!